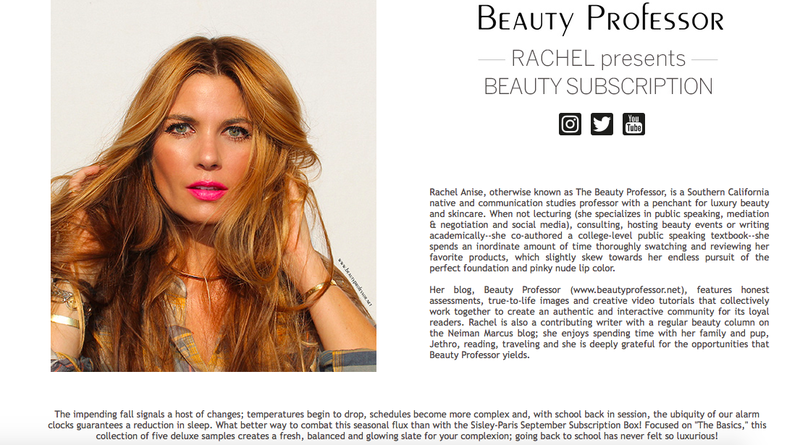 Beauty Professor: Sisley-Paris x Beauty Professor September Features! Those prices for the subscription is very reasonable..$100 for 12mos, that's a good deal and I absolutely live on my high end samples.... but I must ask if you have a discount code or coupon code... how are they keeping track of your referrals? Love!!! the Sisley eye mask! Wear it overnight and the feel so refreshed. Thanks so much, Sunnykm, for your comment. Yes, the eye mask is divine! Thank you ever so much, Catherine! !